As Remembrance Day is commemorated in 2018 one hundred years on from the ending of hostilities, this concise and evocative compact volume, first published in hardback in 2014 and now reissued in paperback, provides an illuminating survey of the history of the Remembrance Poppy ‘from its origins in the battle-tortured landscape of Flanders in 1915 to its enduring relevance’ today as a poignant reminder of ‘the ultimate cost of war’. A series of graphic tables charts the extent of the anguish and the losses of this 'war to end all wars' by the combatants. The United Kingdom total number of casualties including dead, wounded and missing amounted to 2,365,035 though this figure does not include the men and women of the British colonies and dominions (primarily Australia, New Zealand, Canada, South Africa and India), without whom Britain would have been unable to sustain many campaigns. It compares with a comparable figure of 6,400,000 for Germany, whose total manpower mobilised in the First World War amounted to 13,400,000. Comparisons are also made with the scale of operations in the Second World War. 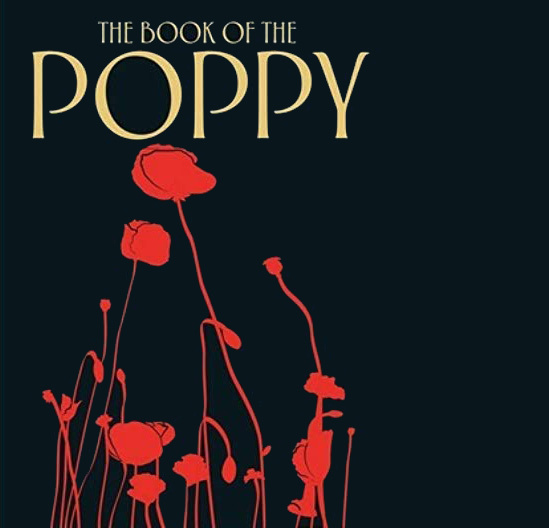 The bulk of the book, however, traces the history of the Remembrance Poppy, drawing upon the war poets who helped to develop the association of the poppy with the enduring commemoration of the war. Also quoted are later testimonies which illustrate its powerful symbolism a hundred years on. Mike Wilson, Director of Operations, County Durham Emergency Medical Services, who lost his identical twin brother in the Iraq war in 2008, also recounts the practical ways in which the Royal British Legion helped and supported his family through their loss in a later conflict. The book also presents the poppy as a symbol of hope, displaying immense durability in so many other later conflicts. It also focuses upon other aspects of memorialisation including the Silence, the Last Post, the Tomb of the Unknown soldier and the wide range of memorials in Britain and close to the battlefields abroad where so many perished, together with objections raised by some to the wearing of poppies.